1. Set the CustomerLevel0AllowsPOs AppConfig to false. 2. Add "Purchase Order" to the PaymentMethods AppConfig. 3. 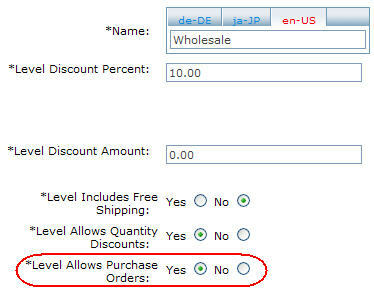 Now only customer levels with the "Level Allows Purchase Orders" attribute set to yes will be able to use POs.